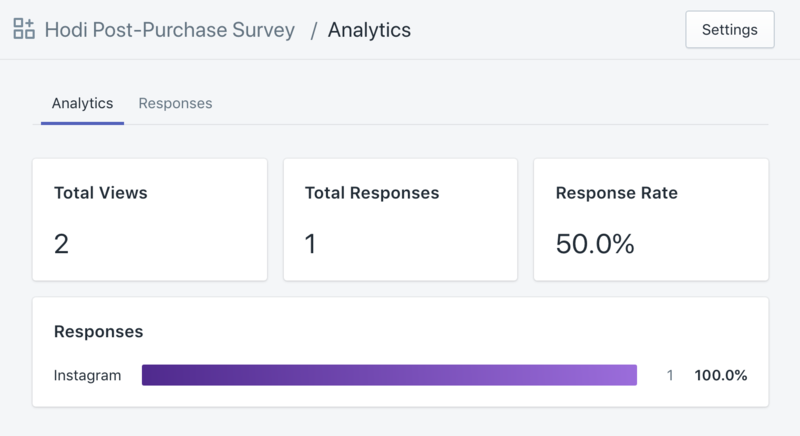 After you've enabled your survey and started to receive a few responses you can view your general survey analytics here. This overview displays survey results percentages and groups together your "Other" responses. You can view all responses on the Responses page.